People watching is always fun on vacation. 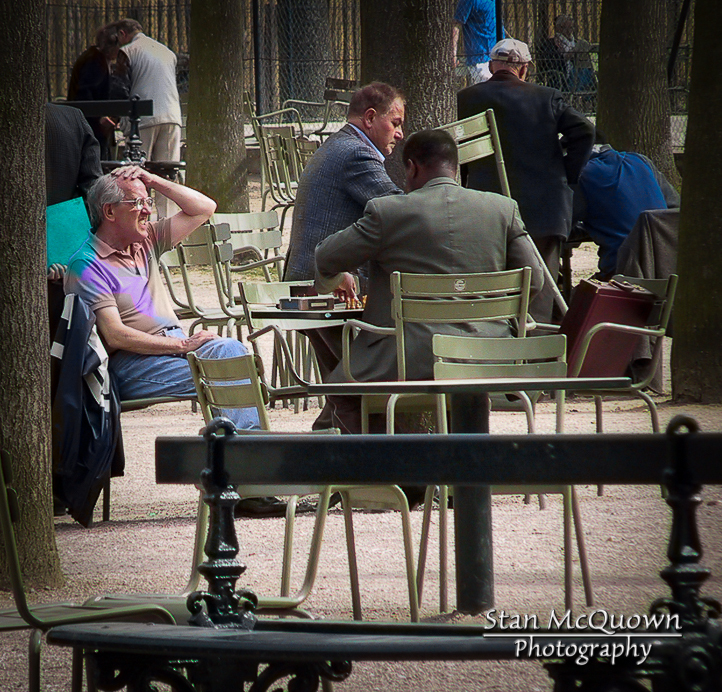 We were in Jardin du Luxembourg watching tables of chess players, all of a sudden I heard “Oh Merde!”. The gentleman on the left apparently saw too late a move he had made and “Oh merde!” came flying across the gardens! It was very quiet there until that happened!